What better way to wrap up your kids than in animal-themed cosies? 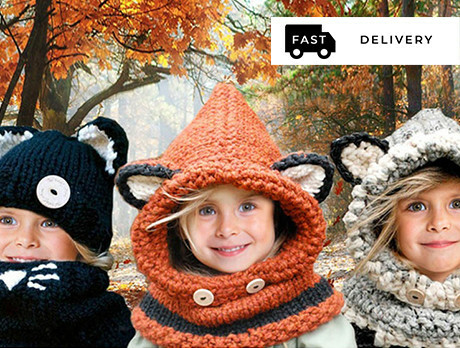 With fox hooded snoods and black cat scarves and hat sets, we've got your kids covered for all of their outdoor adventures. Forget the iPads and TV programmes, they'll be using every excuse in the book to escape outside kitted in their new playful attire.